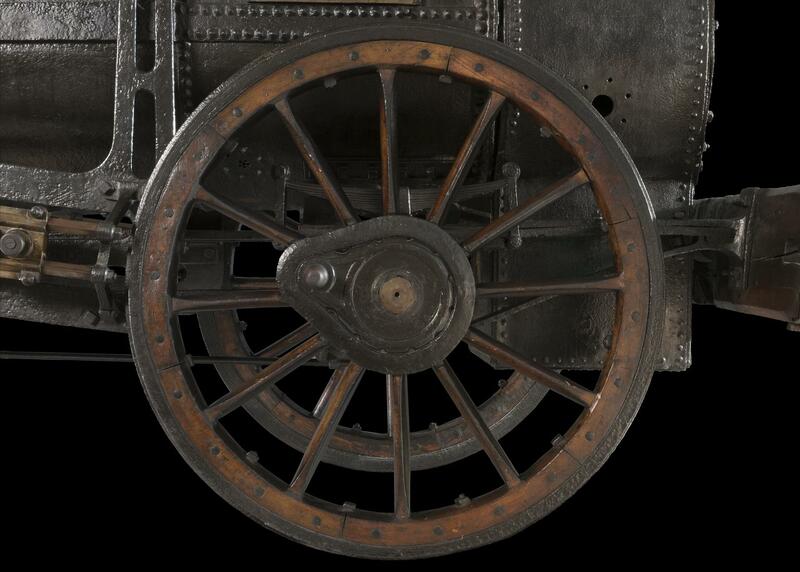 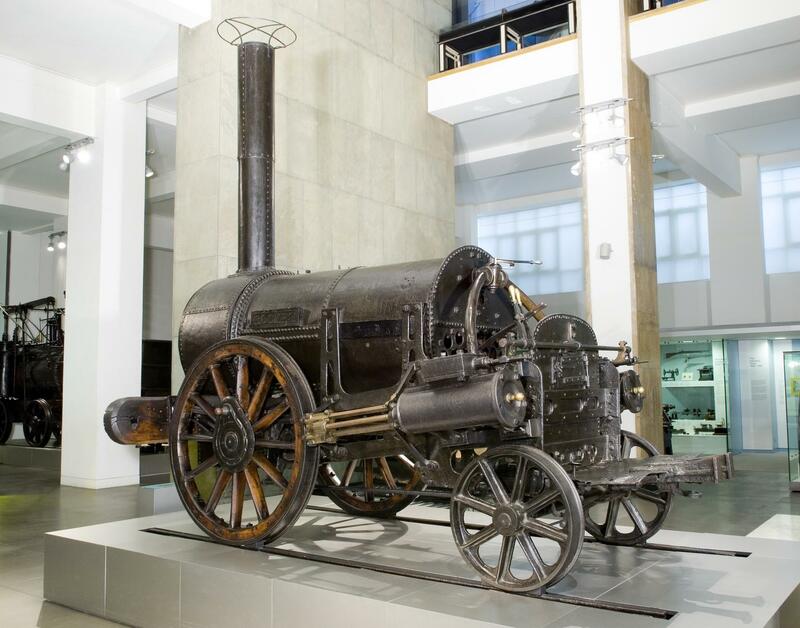 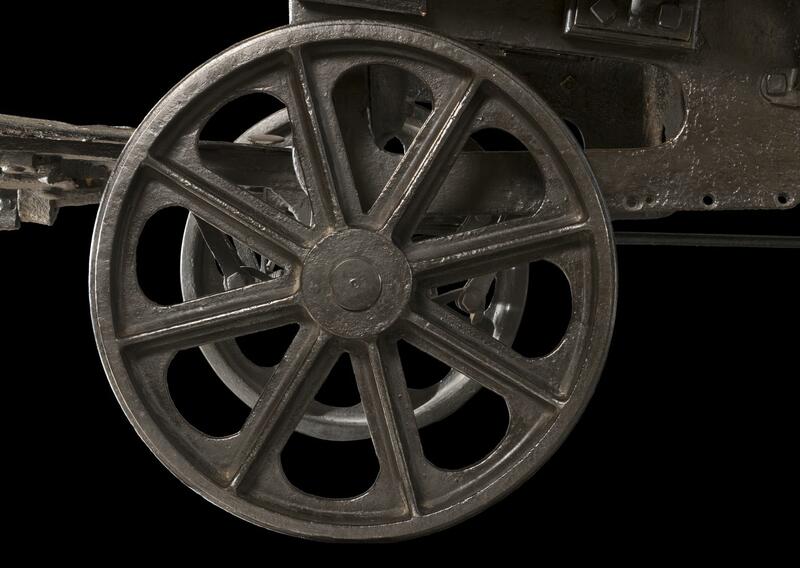 The Rocket, designed by Robert Stephenson (1803-1859), was the clear winner in the locomotive trials held at Rainhill in 1829 to decide the motive power for the Liverpool & Manchester Railway. 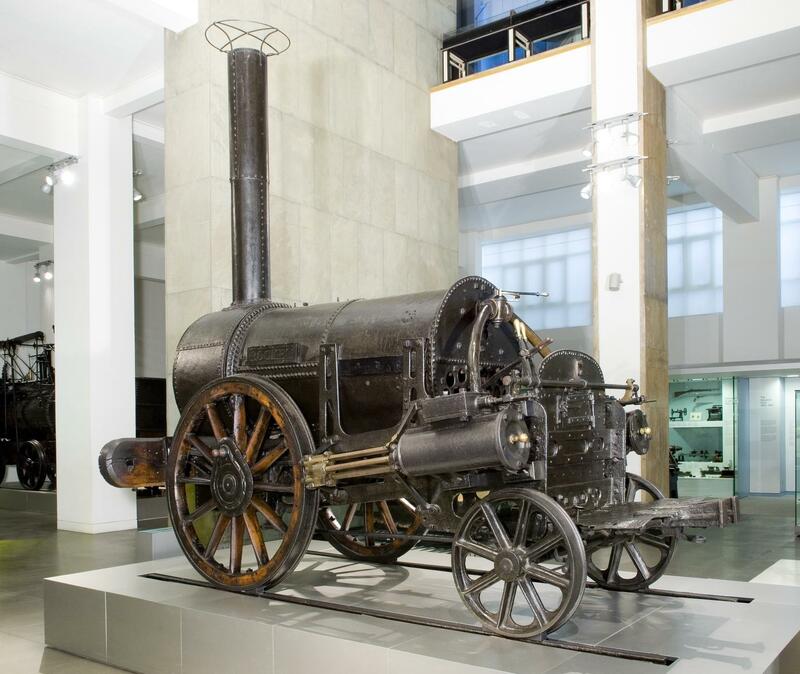 Five locomotives competed at the Rainhill trials – Cycloped, built by Thomas Shaw Brandreth; Novelty, built by John Ericsson and John Braithwaite; Perseverance, built by Timothy Burstall; Sans Pareil, built by Timothy Hackworth; and the Rocket. 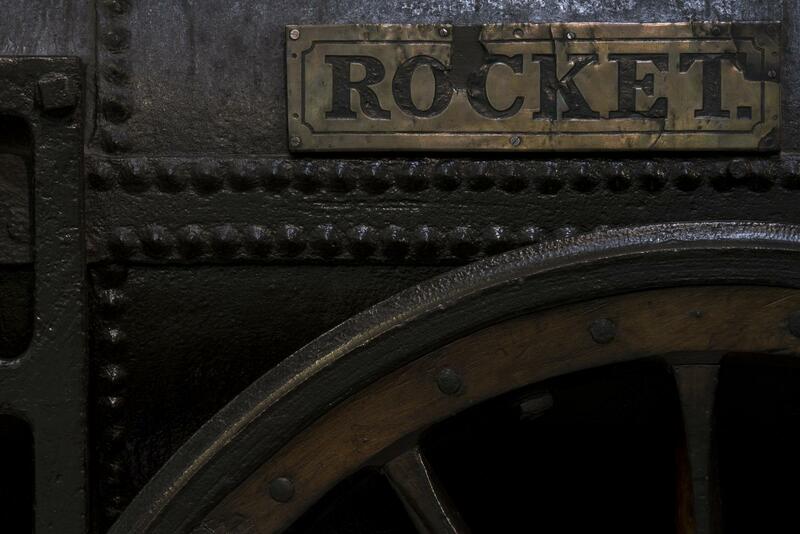 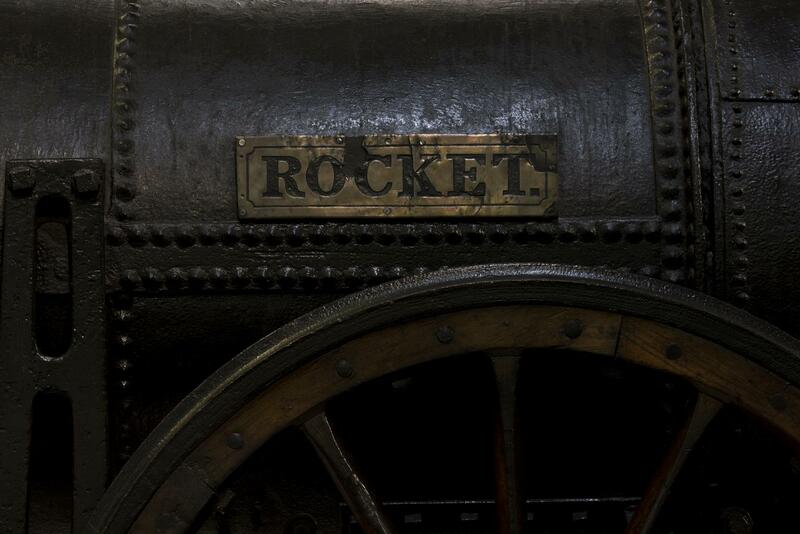 The Rocket was the only locomotive to successfully complete the trials, averaging 12 miles per hour and achieving a top speed of 30 miles per hour. 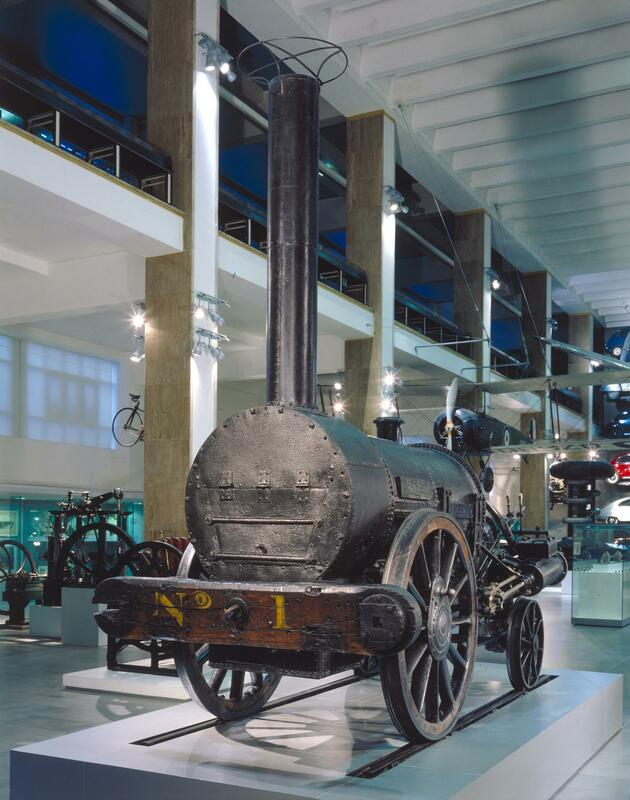 The Stephensons won the £500 prize and were awarded the contract to produce locomotives for the Liverpool & Manchester Railway. 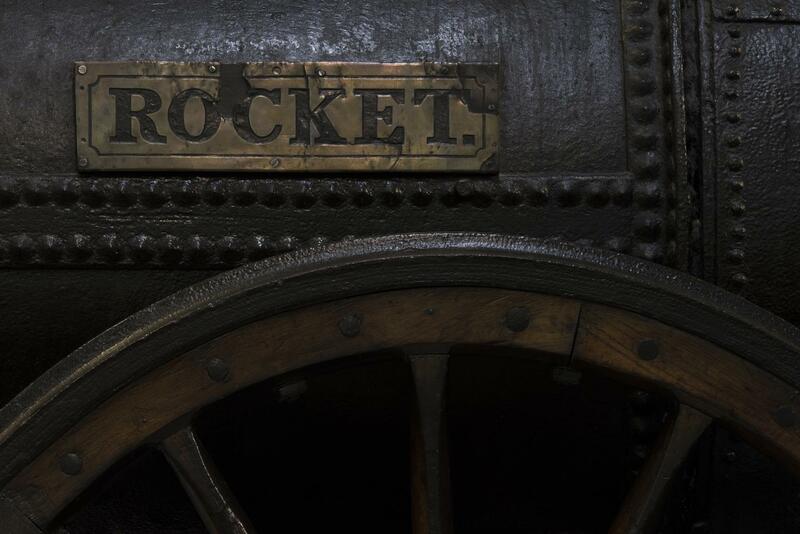 When the Liverpool & Manchester Railway was opened in 1830, Rocket, driven by John Locke, was approaching Parkside Station where dignitaries were gathered on the track after disembarking from their own special train. 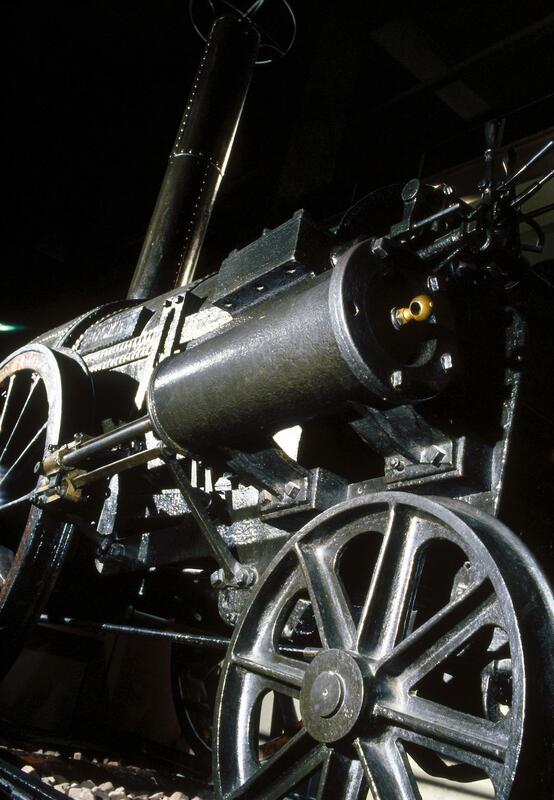 William Huskisson MP was unable to get off the track safely and Rocket collided with his leg as he tried to get out of its path. 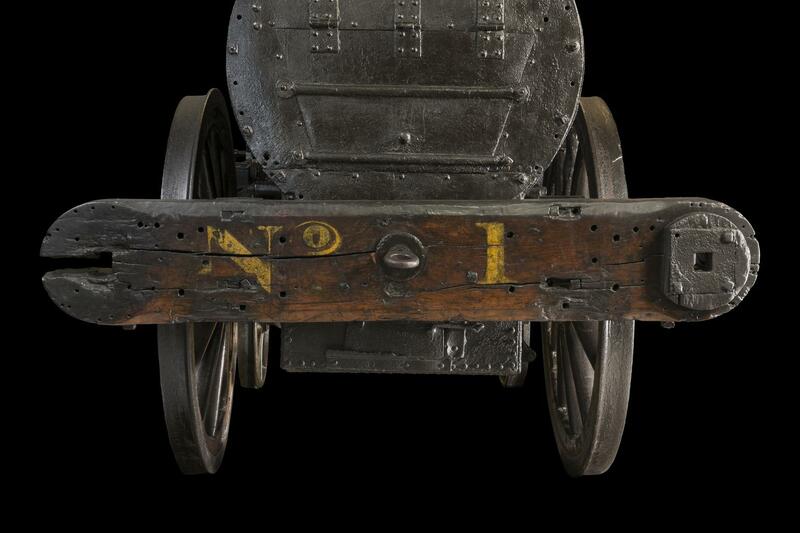 His injury proved to be fatal. 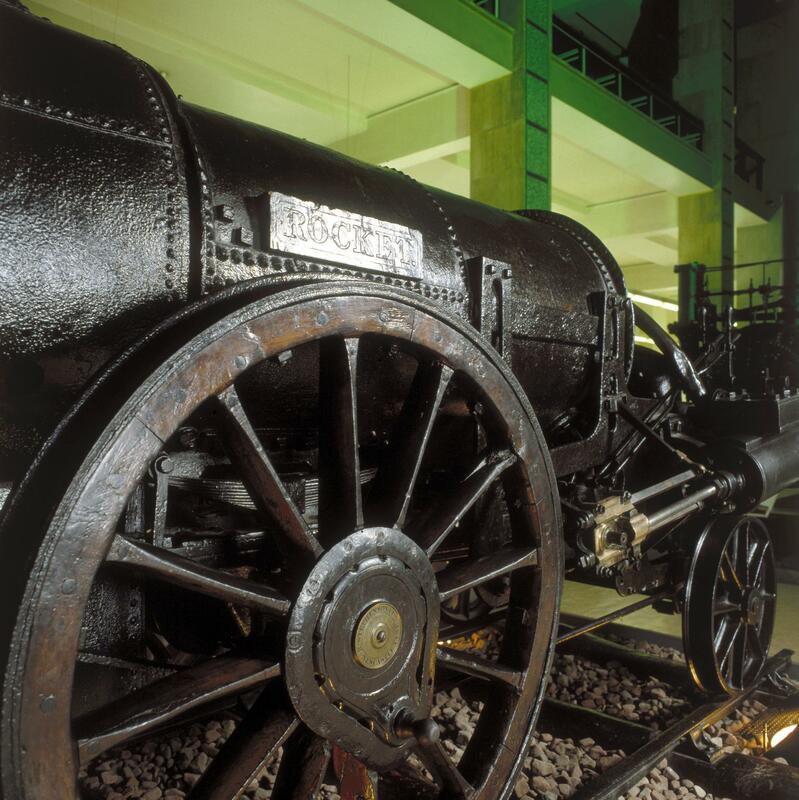 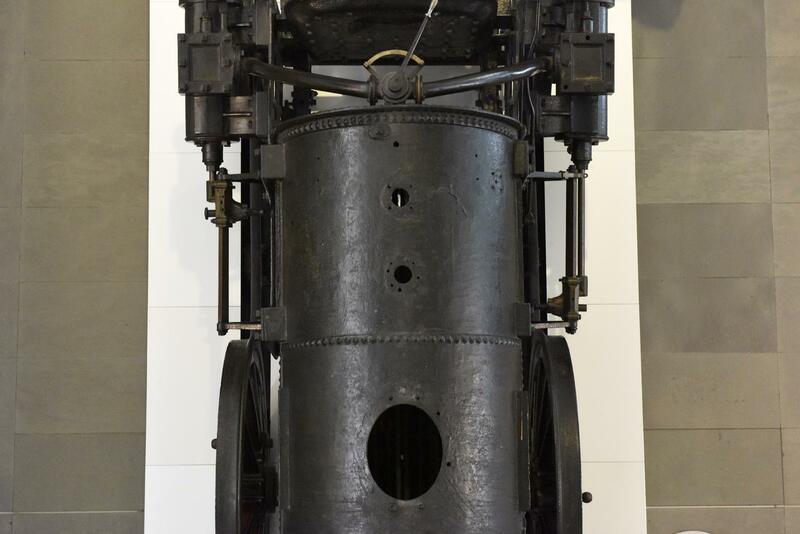 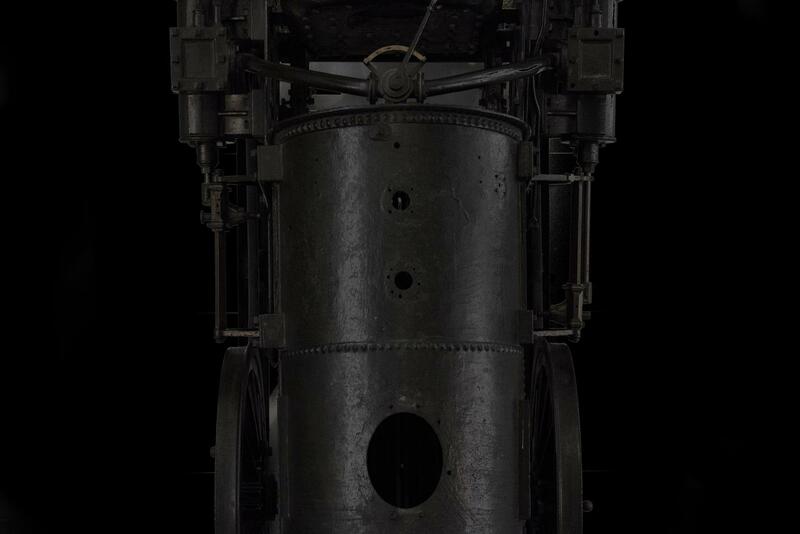 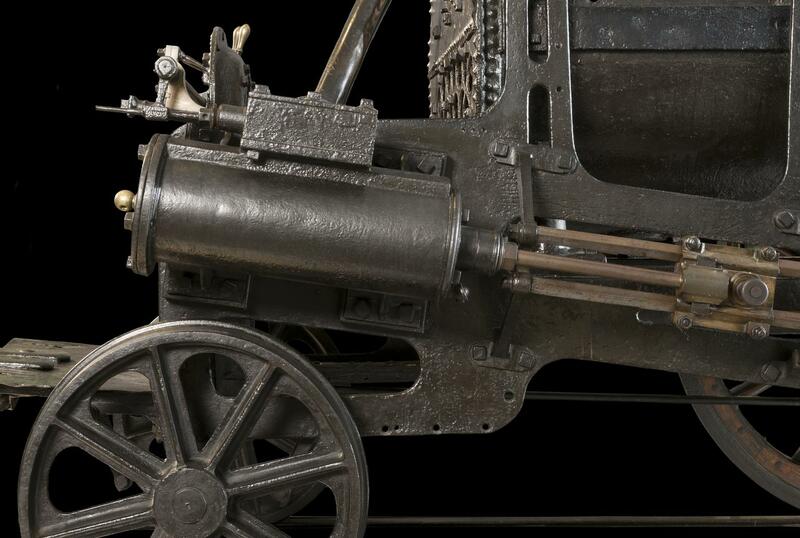 Stephenson’s Rocket represented a substantial technical advance over previous designs, bringing together in one machine such developments as the multi-tube boiler and the blast-pipe. 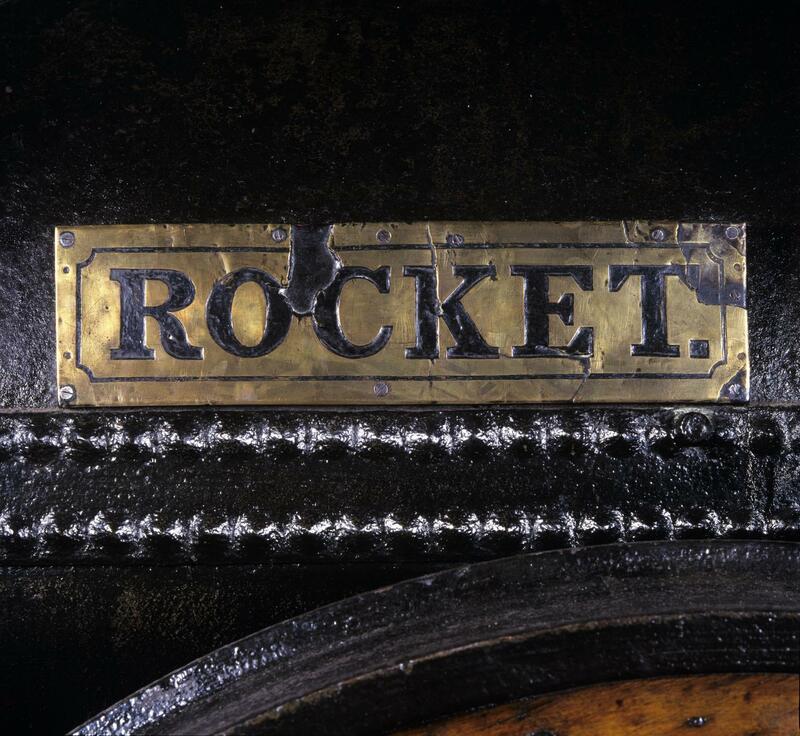 The speed of progress, however, meant that the Rocket was substantially rebuilt within 18 months and laid aside within 10 years. 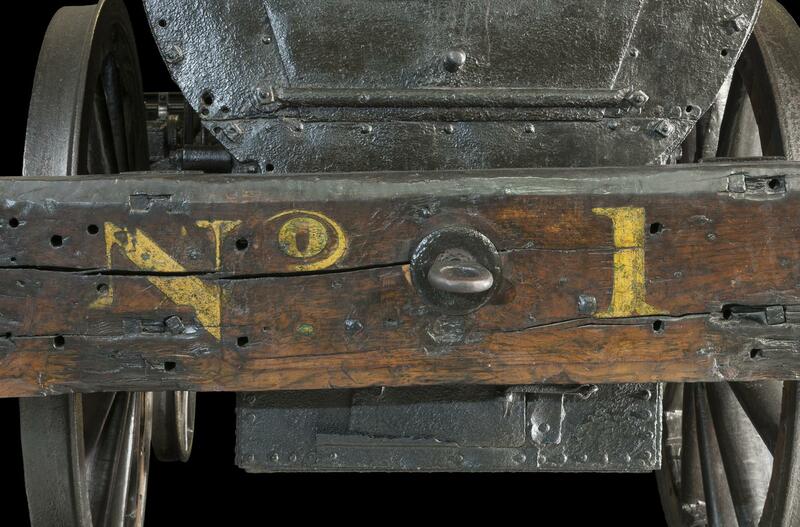 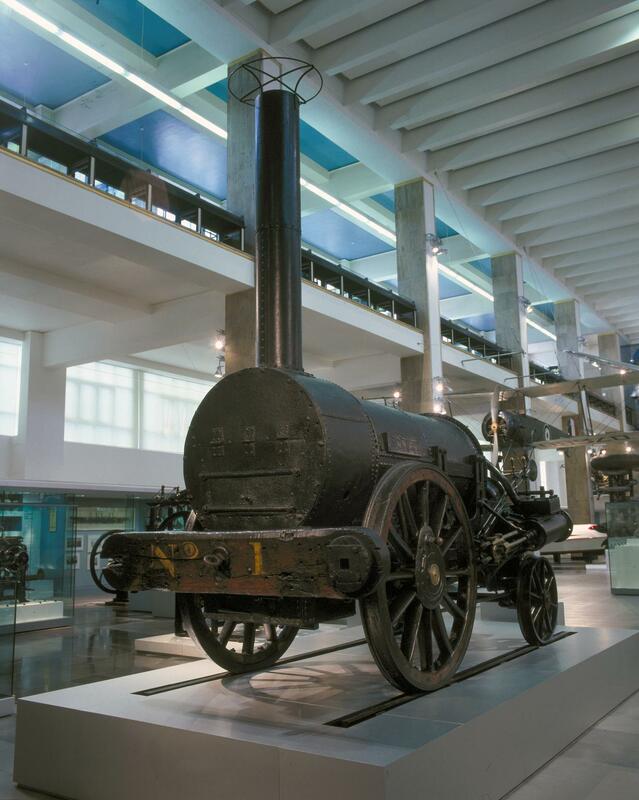 It was preserved in 1862 incomplete and semi-derelict but it had set the pattern for the future and remains the most significant of all early railway locomotives. 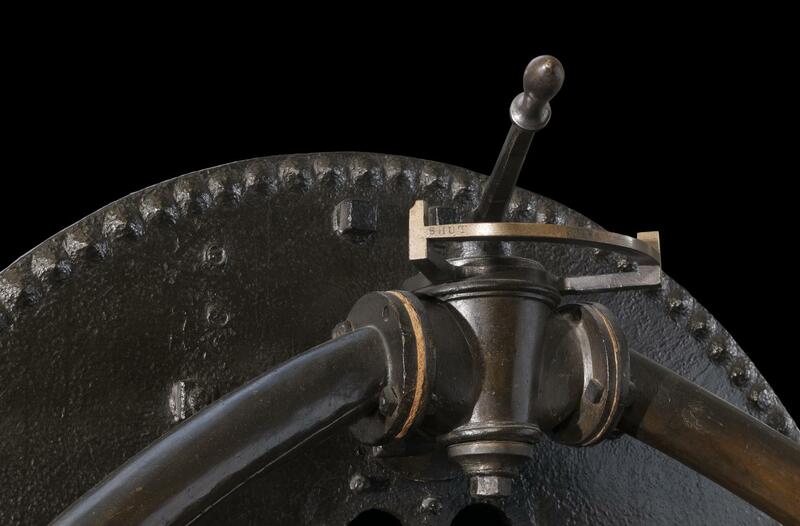 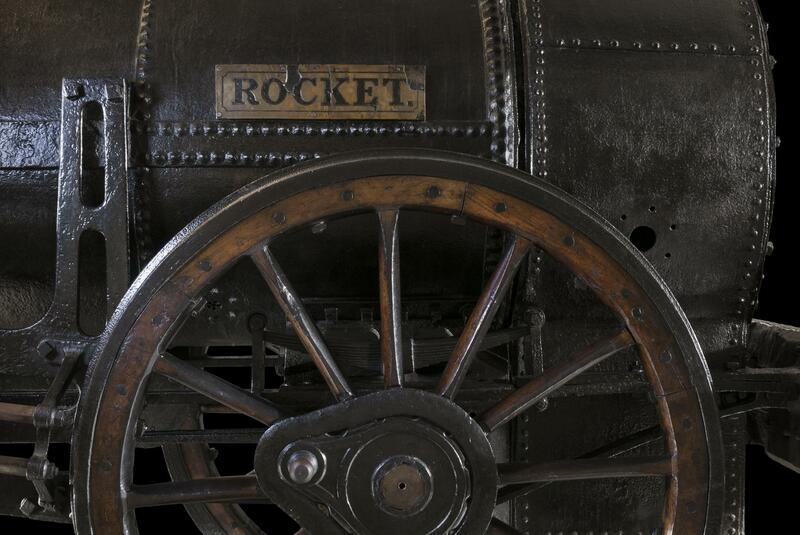 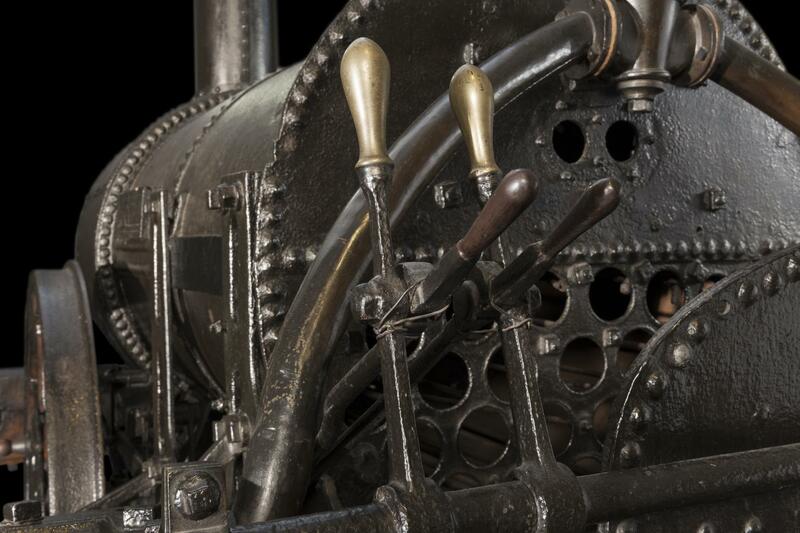 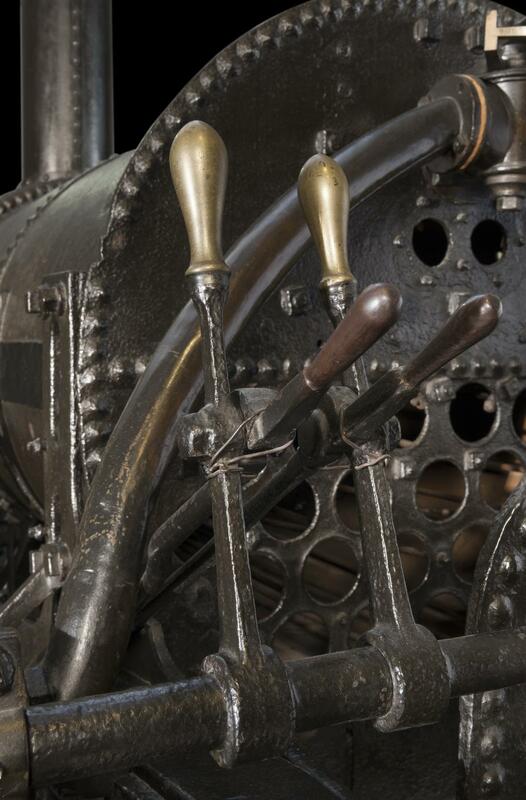 In 1862, Rocket was donated to the Patent Office Museum in London, which became the Science Museum. 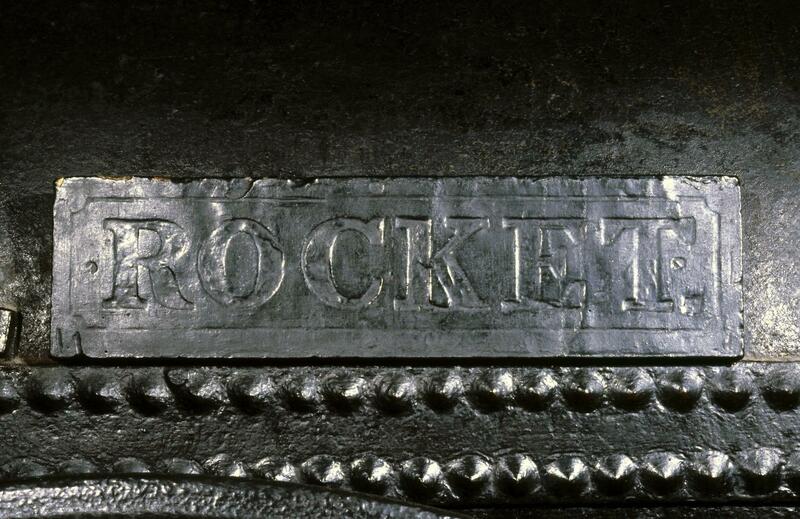 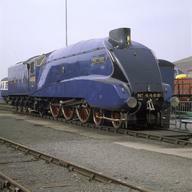 In 1998, Rocket went on display outside the UK for the first time, travelling to Japan for the Festival UK 98, a festival of British arts and science, opened by the then-Prime Minister Tony Blair.